Camel Milk for Autism: A New Hope | Sahara Dairy Co.
With the rise of Autism Spectrum Disorder, millions of parents are getting this devastating news every year. But a new hope is on the horizon for families. That bright hope is that camel milk can arrest ASD related symptoms and possibly improve child development. 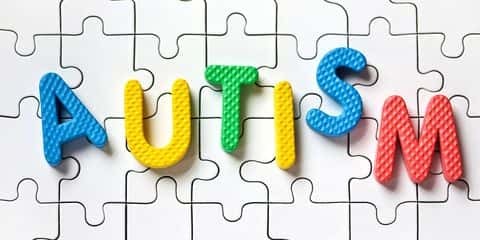 A new government survey of parents suggests that 1 in 45 children, ages 3 through 17, have been diagnosed with autism spectrum disorder (ASD) , even though the official CDC rate is 1 in 59. This is a staggering increase from 1989 reports of only 1 in 10,000 children having ASD, albeit somewhat under-reported. 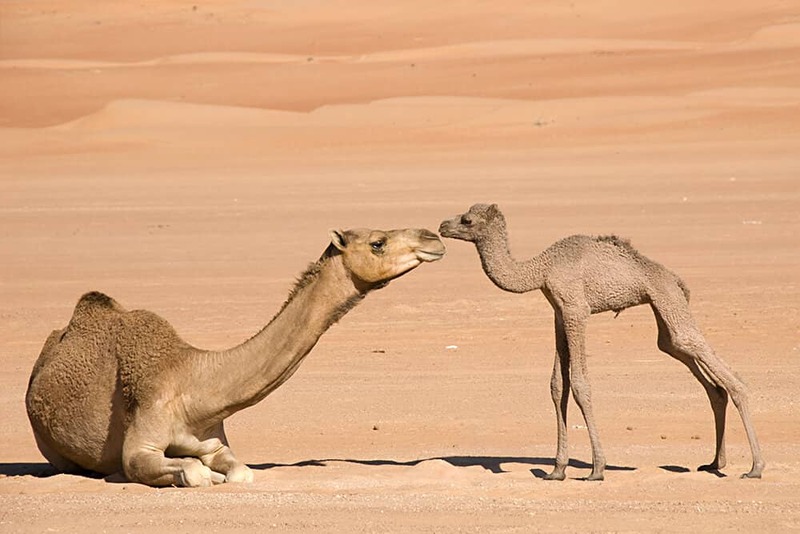 Parents in the US believe camel milk has a positive effect on their child’s ASD. In fact, most camel milk sales go to children with ASD (some say 40%). But drinking camel milk isn’t isolated just to ASD. Individuals are beginning to purchase it for illnesses such as Diabetes, autoimmunity, chronic bacterial/viral infections, allergies etc. Does Camel Milk Work for Autism? Amongst the anecdotes and theories, scientific studies stand alone to decide whether if the hype is true or false. A very unique attribute of camel milk is its ability to balance autoimmune problems. The immunoglobulins of camel milk are compatible with humans and are showing an ability to balance TH-1 and TH-2 output in the thymus gland. This is a major finding because elevated Folate Transport Ab is a recognized trend in ASD patients. Lastly, camel milk contains nano antibodies, which are powerful immune cells only found in camels. These immune bodies can pass into human cells due to its very small size (1/10 the size of human antibodies) and can defeat antigens previously unrecognized by the body. [10-15] These nanobodies need more research, but they could have health benefits unseen in any other product we’ve seen. Using a milk as a therapy for ASD seems counterintuitive when cow’s milk is normally restricted to those with Autism. A major contribution to symptomatology can be the harmful milk properties such as beta-casein and beta-lactoglobulin. When these two properties are broken down they form casomorphin which can cause autistic-like symptoms. .
Camel milk is in a completely different category of milk. It doesn’t contain beta-casein or beta-lactoglobulin. Due to its immune balancing effects, some believe it could even improve allergic reactions to things such as cow’s milk! The benefits parents are seeing from camel’s milk could be due to a myriad of factors. Since ASD differs widely from child to child, singling out any immune property, nutrient or health factor is difficult. Stories and anecdotes will pile up as people continue to use this powerful superfood. The reason parents are the main driving force behind this unlikely source of relief for ASD is that they’re seeing results! 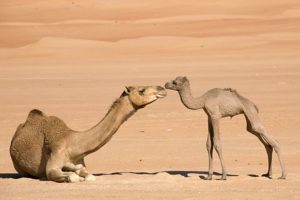 More vigorous studies and research is needed to further pin down how the superfood camel milk works on the human body. But studies of the past and present are pointing to truly one of a kind superfood. (4) Significant differences were detected on Autism Spectrum Disorder (ASD) by CARS, SRS and ATEC scales, following 2 weeks of camel milk consumption, but not in the placebo group. Behavioral Benefits of Camel Milk in Subjects with Autism Spectrum Disorder. Al-Ayadhi LY, Halepoto DM, Al-Dress AM, Mitwali Y, Zainah R.
J Coll Physicians Surg Pak. 2015 Nov;25(11):819-23. doi: 11.2015/JCPSP.819823. (6) Effect of camel milk on thymus and activation-regulated chemokine in autistic children: double-blind study. Effect of camel milk on thymus and activation-regulated chemokine in autistic children: double-blind study. Pediatr Res. 2014 Apr;75(4):559-63. doi: 10.1038/pr.2013.248. Epub 2013 Dec 27. (7) Why Cow’s milk is bad for autism and camel’s milk is protective Shabo, Yosef & Yagil, Reuven. (2005). Etiology of autism and camel milk as therapy. International Journal on Disability and Human Development. 4. . 10.1515/IJDHD.2005.4.2.67. Properties, production, and applications of camelid single-domain antibody fragments Harmsen MM, De Haard HJ. Properties, production, and applications of camelid single-domain antibody fragments. Applied Microbiology and Biotechnology. 2007;77(1):13-22. doi:10.1007/s00253-007-1142-2.